← Have Scientists Finally ‘Cracked’ the Shatterproof Phone? 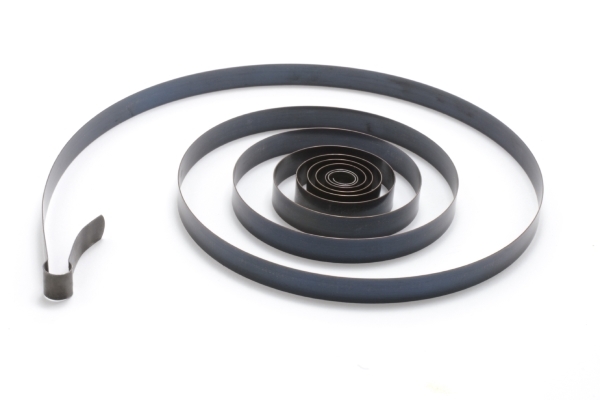 When we think of the uses for items such as the torsion springs which we supply here at European Springs, we tend to put them into an engineering or manufacturing context – after all, they&apos;re a primarily functional item, right? However, this might not necessarily be true, as the strange case of &apos;electro-mechanical&apos; art and its primary proponent Szymon Klimek has so skilfully demonstrated. Klimek&apos;s work as an artist sees him creating miniature sculptures from mechanical components such as cogs and springs – many of which, such as his solar-powered &apos;SPONGE&apos;, also incorporate movement – and then installs them into wine glasses. Surreal though this may sound, the results are absolutely mesmerising, and provide a fascinating reminder that the intersection of art and engineering is often far more productive than we might be inclined to think. After all, if you step inside Klimek&apos;s crafting space then you would be forgiven for thinking that you were in an engineer&apos;s workshop rather than an artist&apos;s studio, and yet there is absolutely no doubt that the work he produces can be classified as art. Unusual though it may seem, Klimek&apos;s fascination with the technical can also be seen to draw on a rich history of other artists who have played with similar themes – and perhaps the most immediate name which springs to mind is W. Heath Robinson, a firm favourite of those of us within the engineering industries. Robinson is most famous for cartoonish designs of dazzlingly complex machines and contraptions which, both amusing and impressively intricate in their design, demonstrate the potential of mechanic imagery to both astound and delight. Another artistic precedent may be found in the work of M.C. Escher. Although Escher was more focussed on mathematical, and specifically geometric, styling in his work, the recognition that art could focus on subjects beyond the traditionally beautiful and the implied assertion that maths and science can themselves be creative is certainly a shadow in Klimek&apos;s work. It is gratifying to see that Klimek is receiving the recognition which was denied to Escher in his own lifetime. Whether you&apos;re an artist or an engineer – or perhaps a little of both – we will always be happy to supply you with any springs that you need to complete your work, so please don&apos;t hesitate to get in touch, whether online, at 0208 663 1800 or even over on our Facebook and Twitter pages.